Creating all-out innovators at every level. Expanding the research frontiers of human-centered design. Stay up-to-date on the latest Segal news and events. The EDI program has announced Jim Wicks as the new Director of the EDI program. 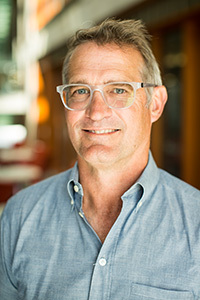 Before joining the faculty at Segal Design Institute in 2016, Wicks was the Senior Vice President of Consumer Experience Design at Motorola where he was responsible for the design of many of the top mobile products of the last decade. Wicks has been a leader in bringing user-centered design innovation to the technology sector. Wicks plans to work closely with EDI faculty, alumni, and students to craft a strategy for the program's next decade. "I firmly believe that students are the key to a successful program in innovation and design, and we here at EDI are fortunate to have some of the best students in the country," said Wicks. "I will look to these students and to our alumni for their insight as we shape our curriculum to meet the challenges of a fast-changing world." 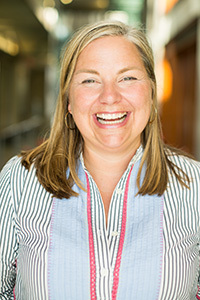 Additionally, Amy O'Keefe, who has been the Associate Director of the EDI program since 2013, will expand her role this year. Her new title is Studio Director of EDI. This change reflects O'Keefe's contributions teaching a service design course and co-founding the Integrated Design Innovation Consortium with peer programs. Ten years ago, the Master of Science in Engineering Design Innovation (EDI) program was founded by Ed Colgate, the Allen K. and Johnnie Cordell Breed Senior Professor in Design at Northwestern Engineering. The program was based on the strength of an idea: that design thinking and technical expertise make a powerful combination. Colgate will continue to be involved with the EDI community as its Founding Director. He will be stepping away from the EDI program to play a bigger role in the company he founded in 2011. The company, Tanvas, is developing a new type of touchscreen that lets the user feel what he is interacting with on the screen. "I am very excited to see how Jim will leverage his experience to help EDI students advance their skills, their thinking, and their careers," said Colgate.